n Striking presence and look with top-tier EPDs. n Full brother to W/C Executive Order 8543B, the 2015 high selling bull at Wernings for $71K. n Dam 8543U is arguably the most versatile breeding piece in the breed, as she clicks with all matings, and is approaching 4 million in progeny sales. 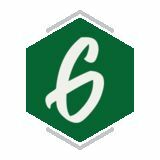 n Ultimate breeding flexibility, use to enhance growth, improve phenotype, and add maternal strength while producing purebreds or percentages. n ADG 4.21# ranked 7th out of 200 bulls, great scan data ratioing 114 for IMF and 112 for BF. SELLING BULLS, HEIFERS AND EMBRYOS! Nathan Adkins Memorial Scholarship CELEBRATING THE LIFE OF A YOUNG PERSON, BY INVESTING IN THE FUTURE OF ANOTHER. Our breeding programs utilize highly proven AI sires to produce Simmental, SimAngus, and purebred Angus heifers, steers and bulls for complete performance and carcass evaluation. Sh ort on nu mb er s , lo ng on quali ty ! Sale Manager: DP Sales Management, LLC Auctioneer: Cody Lowderman Sale Staff: Shane Ryan, Brett Sayre and Chris Smith Sale Chairman: John Bauer 55 lots averaged $3,121 High Selling Lots $11,900 - Lot 14, JPLF Miss Standout B403, sired by FBF1 Combustible. Consigned by Jackson Lashmett Farms, purchased by David Dillon/ Tyler Diffey, MS. $7,700 - Lot 56, FBSC Grid Iron 16D, sired by ACW Ironhide. Consigned by Fairow Brothers, purchased by Branch Farms, IN. $7,500 - Lot 13, ETHR Miss Queen 532C, sired by CSCX Bandwagon, bred to ACW Ironhide. Consigned by Etherton Farms, purchased by Bauer Simmentals, IL. $7,100 - Lot 46, HTP/BRAM Cotton D635, sired by WS Revival. Consigned by Bramlet/HTP Simmentals, purchased by Scott Foreman, IA. $6,000 - Lot 29, ETHR Ms Broker 1045 679D, sired by Mr. HOC Broker. Consigned by Etherton Farms, purchased by Andrew Riggins, IL. Find RS Genetics at these upcoming sales! Our mission is to produce good, functional Simmental and Sim Angus cattle that will perform for the cattleman! UPCOMING SALES FOR HILLSTOWN FARMS CATTLE Illinois Elite Sale – Shelbyville, IL Sunday, September 17, 2017 Greenville Livestock Auction Special Cow Sale - Greenville, IL Saturday, November 11, 2017 - Veteran’s Day North American Select Simmental Sale – Louisville, KY Monday, November 13, 2017 Mid-America Simmental Sale at Illinois Beef Expo – Springfield, IL February 2018 Look for a number of Optimizer & Caliente progeny to be sold! Private treaty sales also, year round. Just give us a heads up before you visit. Adcock LAnd & Livestock The Adcock Family has been raising high quality Simmental cattle for four decades. We strive to produce Simmental and SimAngus cattle that thrive in the show ring and then flourish in the pasture. Cattle for sale privately at all times. Congratulations Kaitlyn Cloud, purchased in our online sale. Herdsman: Eric “Lefty” Lee 608-295-5312 Stop by and see us anytime just 35 miles northwest of Springfield, Illinois. Membership Benefits The Illinois Simmental Association is an enthusiastic group of cattle men and women, actively working together for the advancement of the beef industry through the use of Simmental genetics. The following are some examples of Illinois Simmental Association membership advantages... • Consign cattle to the Mid America Showcase Simmental Sale, held annually at the Illinois Beef Expo. Opportunity is only available to ISA members. • Advertise in the bi-annual Illinois Simmental Association breeders directory and be included in the membership listing. The directory is extensively used by purebred and commercial cattlemen across the country and is distributed on a national scale. Publish a full page advertisement in each issue of the Illinois Beef Magazine promoting SimGenetics produced by ISA members. • Contribute to promoting SimGenetics through a booth exhibit at livestock shows promoting the Simmental breed and Illinois Simmental Association members. • Promote SimGenetics through advertising in the IL BEEF Magazine, sponsored by the Illinois Simmental Association. • Support youth by helping the association sponsor attractive show premiums to junior participants at the Illinois Beef Expo and Summer Preview Show. • Organize and operate the Illinois Junior Simmental Association. These activities take a lot of time and money. Your annual dues provide the funding source for most of these operating expenses. The ISA’s membership year runs from January 1st to December 31st; dues are payable in advance and entitle you to participate in any or all of the Illinois Simmental Association sponsored activities. Please complete a membership application and mail it in today! Illinois Simmental Association Application is hereby made for membership in the Illinois Simmental Association to be issued to the undersigned. Membership Name Farm Name (if different) Address City	State	Zip Phone	Email ASA# We agree to abide by the rules and regulation, constitution and by-laws of the Association as amended from time to time as interpreted and enforced by the Board of Directors. The undersigned applicant expressly agrees that the Board of Directors has and shall forever retain the exclusive and sole right to discontinue any member’s membership whenever, in the sole and unlimited discretion of said Board of Directors any member shall be found to have failed to comply with any of the association’s rules, regulations, constitution or bylaws. WRIGHT-WAY Simmentals WWS Stockman 15A Sire. Mr HOC Broker Dam. CNS-HFS Antoinette X403 Owned by Mid Continent Farms and MCK Cattle Co. First calf reports are impressive. Full siblings available fall 2017. WWS Desa Rae 801B Sire. W/C UNITED 956Y Dam. WWS DESA RAE 37Y Upcoming donor, watch for exciting progeny by this female! Designed by Generation 6 Marketing. 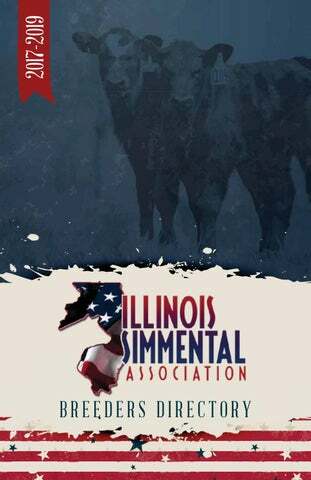 The latest membership listing and advertising from the Illinois Simmental Association membership.